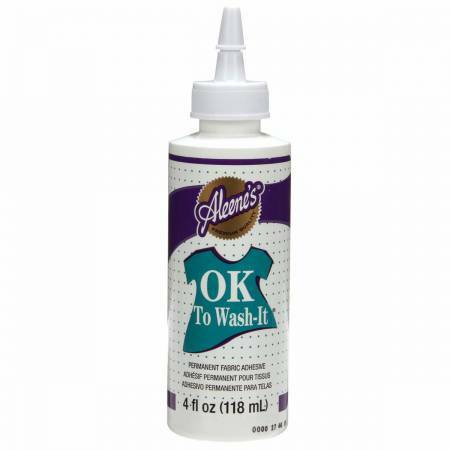 Washable adhesive that permanently bonds fabric andembellishments to fabric. Dries clear and flexible, is non-yellowing and holds through repeated washings. Recommendedfor Washable fabrics, costumes, ribbons, silk flowers, trimspearls, doilies, flat laces, appliques, home decor farbics.